So my freenas usb died on me and now i have had to install freenas on another usb to see if i can recover my data. 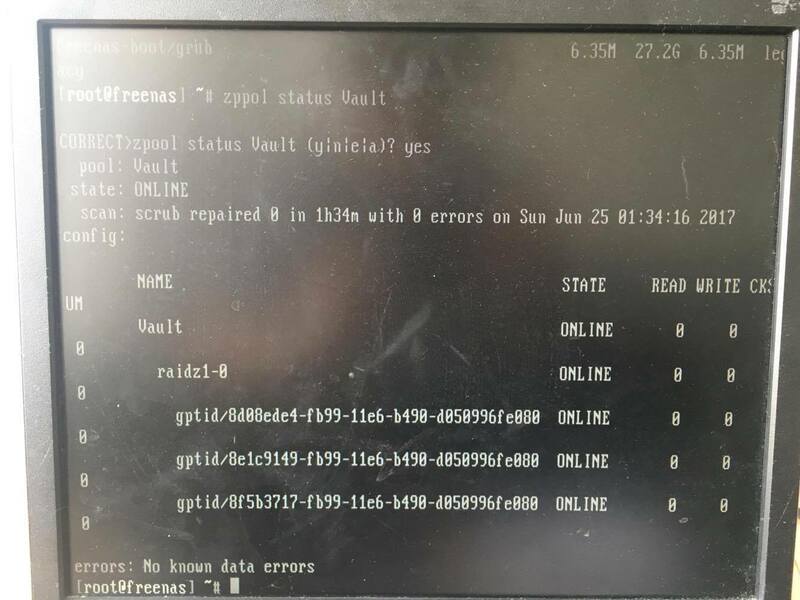 are you using the same version of freenas? Sounds like they just need to be mounted. Easiest way might be to reboot? Or from the shell mount each dataset individually. 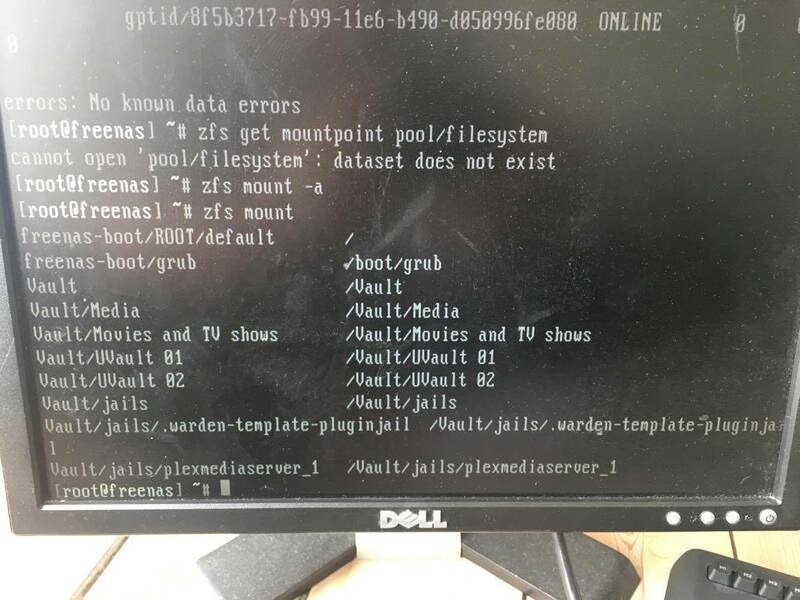 If the don't automagically mount, check the mountpoint and canmount settings of the pools, and if necessary create the required directories to mount to? don't mess with the system configuration yet. I have already tried to reboot the system and it did not make the volumes visable or allowed me to import it via the web GUI. 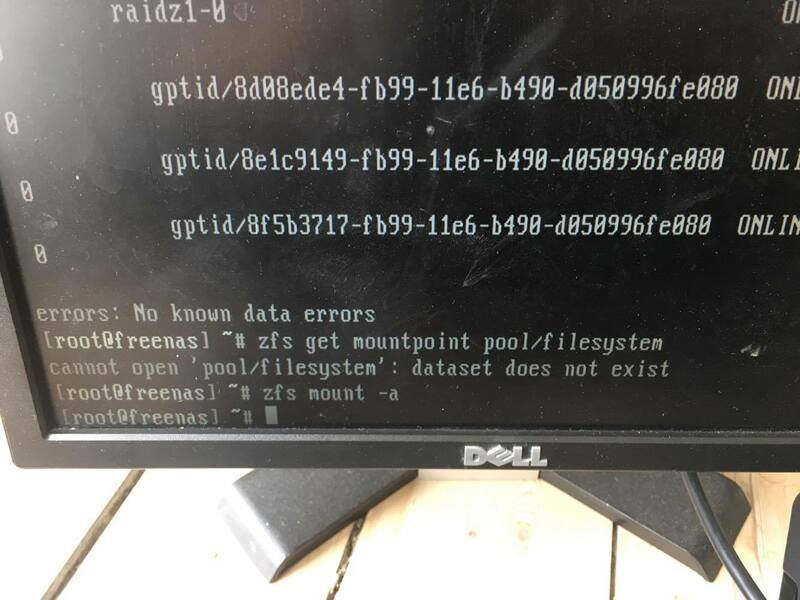 sorry, should have specified that "pool/filesystem" needs to be replaced with your pool and your filesystem. zfs mount -a only returns output on an error. to see if your volumes are mounted.